« Juliska Holiday Table at Mary Tuttle’s With Bunnies… YES, Bunnies! 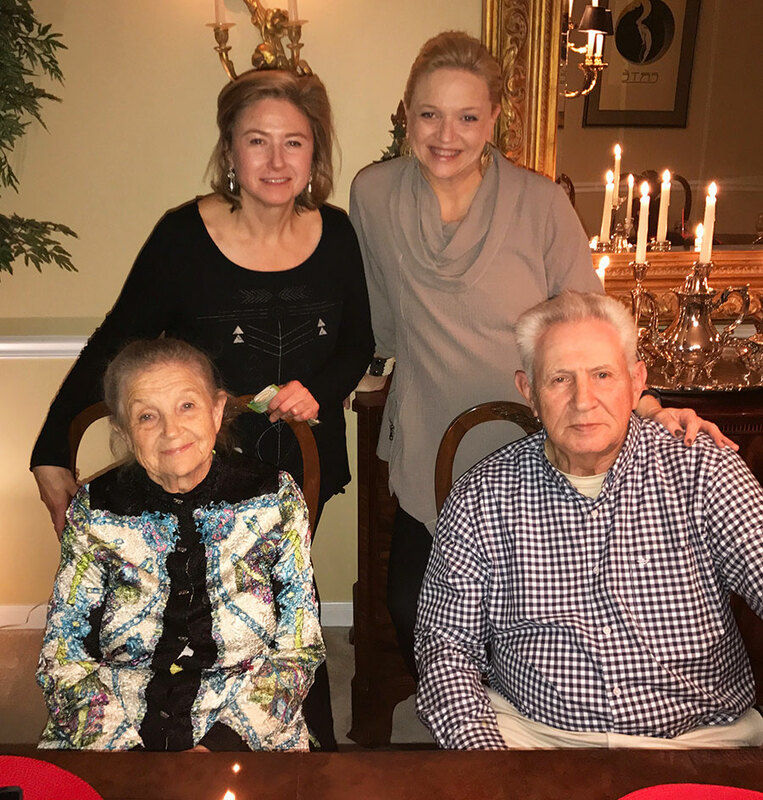 Each year, my sister Anna, volunteers to host Thanksgiving and our family gathers at her home to celebrate the holiday. Anna is a wonderful hostess, I’ve said this many times. She and I are always stealing each other’s ideas and recipes. Unlike me, Anna does things very simply with a relaxed feel but always seems to WOW her guests. She never seems to stress over the details. Even the few times she’s asked me for help, Anna always seems relaxed and at ease while I’m running around stressing over pretty much everything. Nevertheless, we always seem to pull off a great party and when working together, we make a good team. During this particular celebration, her table was simple with red placemats and a bouquet of fresh flowers. However, she added candlelight as her main decor element, creating a soft, warm, and quiet atmosphere. 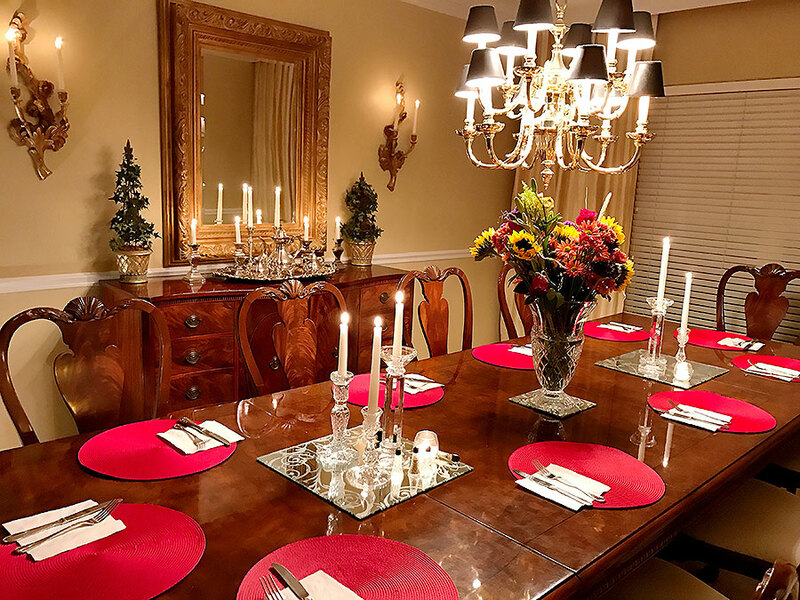 She used different style and height crystal candleholders which were set on mirror tiles to reflect the light. 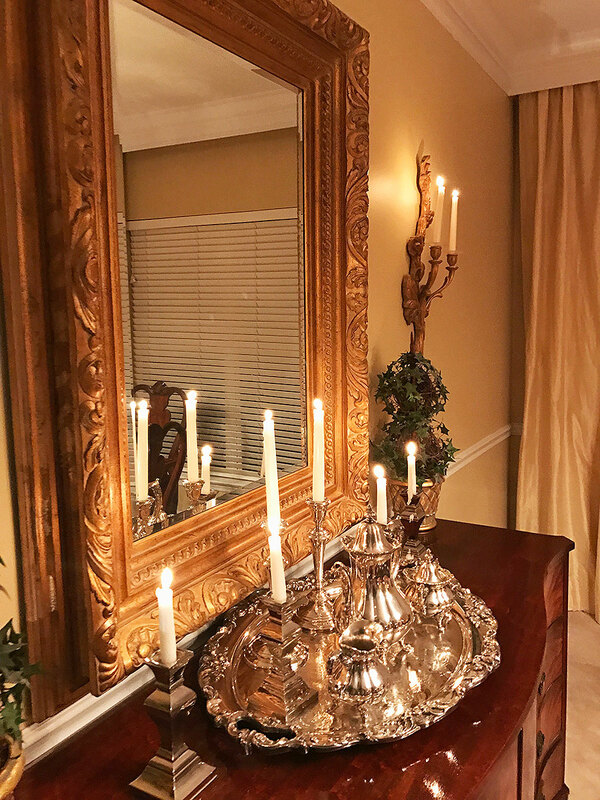 She also placed some candles in her silver candleholders on the back buffet. Last but not least, she added some votives to bring various levels of height. It looked so beautiful. This look was very minimal but definitely brought the WOW factor. 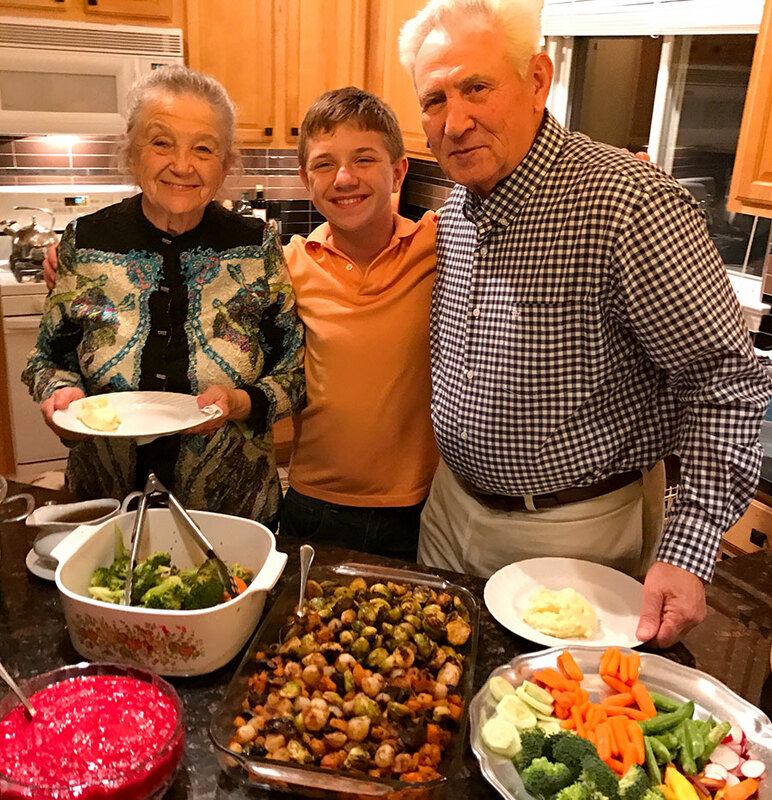 It’s no secret, our family is ALL ABOUT THE APPETIZERS… Anna always prepares a wonderful appetizer spread that is easy and festive. 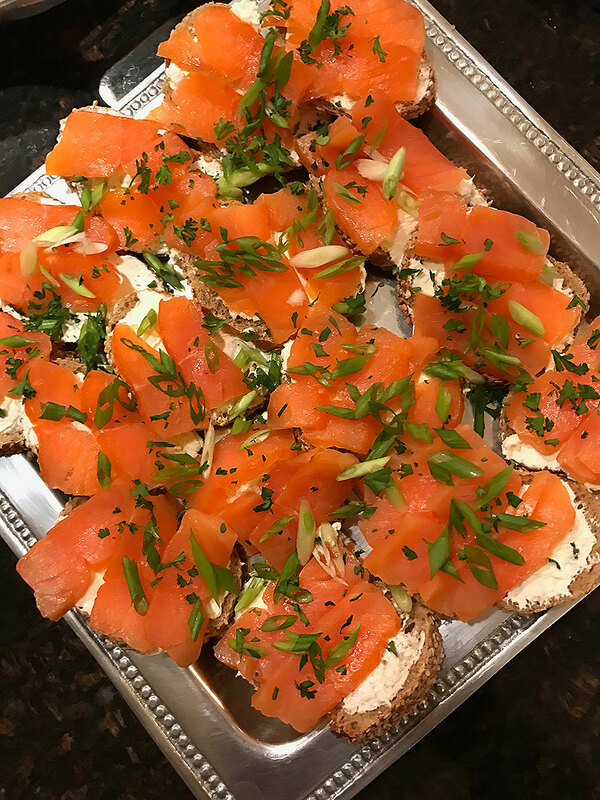 Above are the smoked salmon appetizers which she serves at practically every function. They are served on small pieces of bread, smothered in plain cream cheese and topped off with a generous slice of smoked salmon. She finishes by sprinkling green onion on top and watches them disappear off the plate in a matter of minutes. I’m always in charge of the veggie plates and dip. 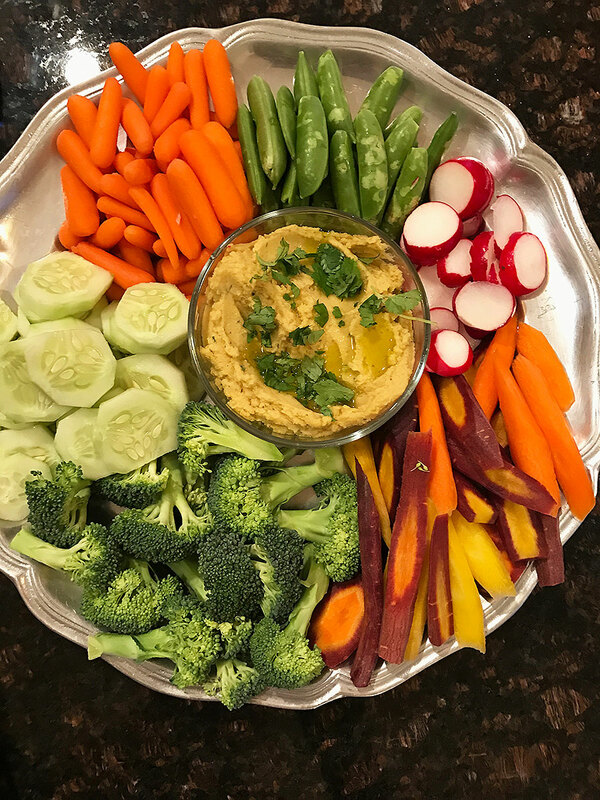 This veggie plate featured my favorite basil hummus which I make for practically EVERY occasion. 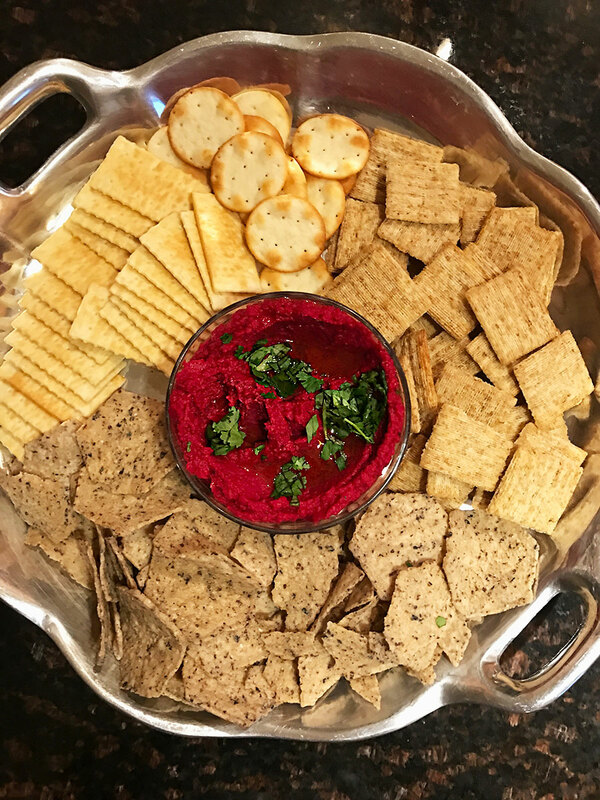 I also love bringing my beet hummus which adds a vibrant color to an otherwise boring cracker bowl. 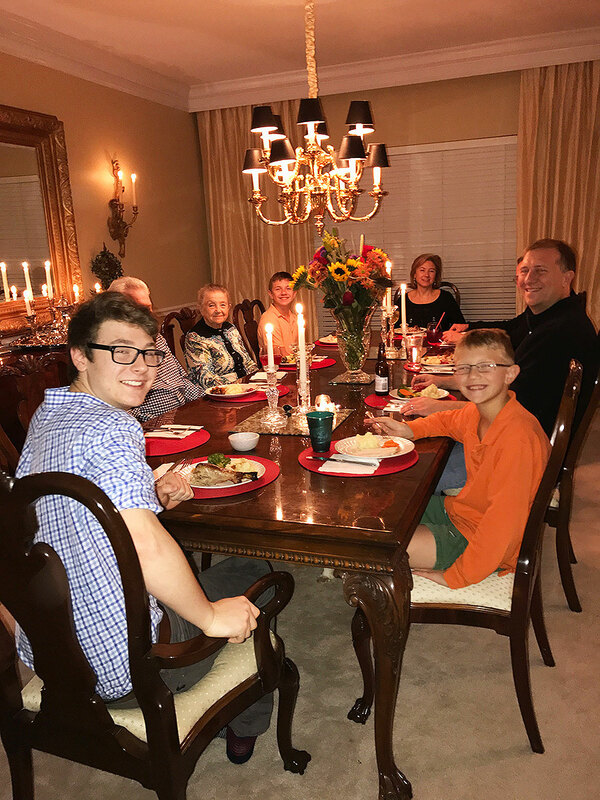 The dinner is typically traditional with turkey, cranberry source, her famous mixed roasted vegetables, and of course, mashed potatoes. Here’s my son and my parents enjoying her delicious buffet. Last but not least, the dessert always comes from The Smoke House Market, which is a wonderful store in Chesterfield, Missouri. It is affiliated with Annie Gunns, which is a famous steak house in St. Louis, and sells many of their freshly prepared food creations. 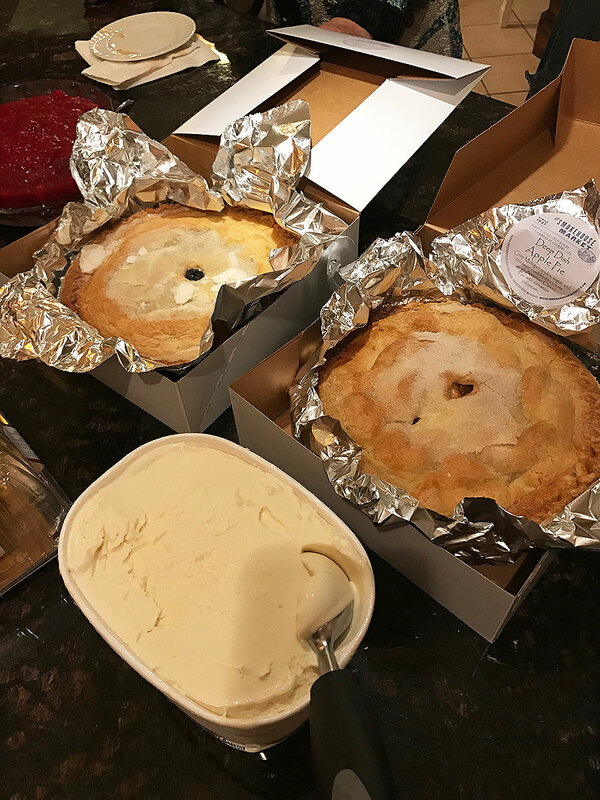 Their pies are in HIGH DEMAND during the holidays and since my niece worked there, we always had fresh pies for Thanksgiving… with a bit of vanilla ice cream on top. All in all, my sister does a fantastic job with Thanksgiving. And I’m alway impressed with how beautifully and seamlessly she executes this annual celebration. 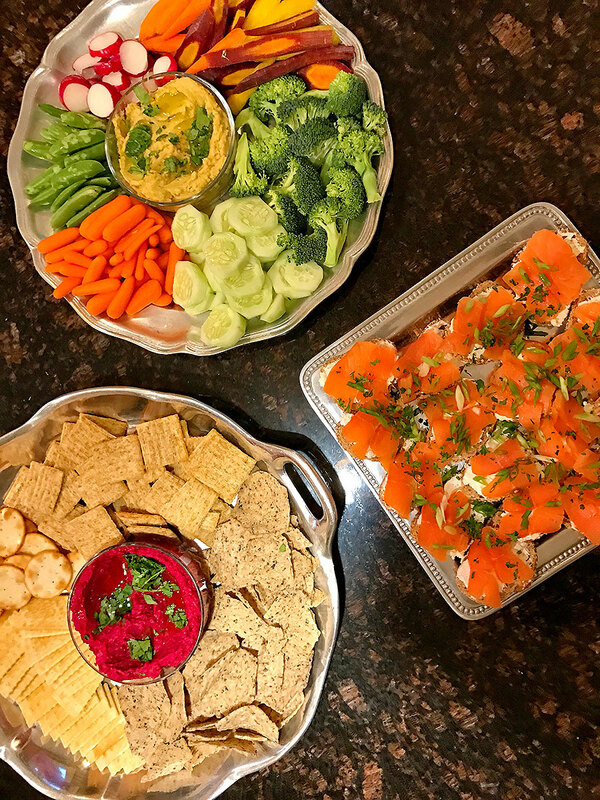 This entry was posted on Friday, November 16th, 2018 at 5:15 pm	and is filed under Appetizer Platters, Appetizers, Buffet, Christmas, Food Holidays, Low Carb, Parties, Table Decore, Thanksgiving, Vegetable Plate, Veggie Platter.